At first, the task of writing the very first Ububele blog seemed quite overwhelming and daunting. What topic should I choose? Will readers want to hear about this, or that? Will my writing be good enough? In the end, I was reminded of Mary Poppins’ wise words of “let’s start at the very beginning, a very good place to start”. And so that is where I shall start. The beginning. Pregnancy. There is some disagreement between professionals about when a child’s life truly starts. Is it at birth? Is it when they first start to talk or walk? Is it immediately when the foetus is formed in the mother’s uterus? At Ububele, one of our objectives is to “advocate for the mental health care rights of children under the age of seven”. We believe that the mental health of our children starts at the very beginning, during the 9 months of pregnancy while the baby is still growing in the mother’s tummy. I think that my initial anxiety and fears around the ‘conception’ of this blog-site are shared by awaiting mothers and fathers. When starting something new, there are very often accompanying worries about not being quite good enough and fears about the unknown. The excitement and joy of being pregnant also comes with conflicting fears of being a good-enough mom or dad. There are a multitude of thoughts about what kind of a person the little baby will become; just like my thoughts about what kind of blog this will develop into. Even at this early stage moms and dads already have wishes, desires, dreams and expectations for their baby. Will it be a girl or boy? Will it look a bit like mom or dad? Will he become a musician or a teacher? Will she go to university? These complex thoughts and feelings about the unborn baby highlight that the relationship between the baby and its mom or dad starts early on; right at the very beginning. Pregnancy is the time when expecting moms and dads can start to build a relationship with their child that will continue into adolescence and adulthood. Every pregnancy experience is different. No mother has the same pregnancy or birth as the next one. Being pregnant is also not an isolated event. There are several circumstances that can make a pregnancy stressful, and forming a relationship with the baby more difficult. The quality of the relationship between the mom and dad, whether a baby is planned or unplanned, being a teen mom, the kind of support one receives from family members, and one’s physical health all play a role. Being aware of how these are affecting you and your baby is very important. The experience of being pregnant brings up memories of one’s own infancy and relationship with one’s own mother. There can be powerful feelings and thoughts associated with this. The kind of relationship one has with one’s own mother can play a role in how an expecting mother experiences her pregnancy. During pregnancy, the mother is also offered the opportunity to imagine and wonder about what her baby experiences in the watery world of her womb. What does my baby feel or see or hear inside there? Interesting, research has shown that by 4 months, the foetus has fully developed its hearing capacity. This means that he is already able to hear and listen to mom’s voice. A mom can start, at the very beginning, to communicate with her baby; whether it be by talking, singing or sharing a moment of calm silence. Just as pregnancy is the beginning of a new relationship with one’s child, so too I hope that this blog can be the beginning of a relationship between Ububele and the community. My wishes and hopes for this site is that an honest conversation around mental health can be opened up so that we may reach Ububele’s mission statement: a South Africa that is a nurturing society of emotionally healthy adults, who are competent parents and good citizens; and secure, well-cared for children. 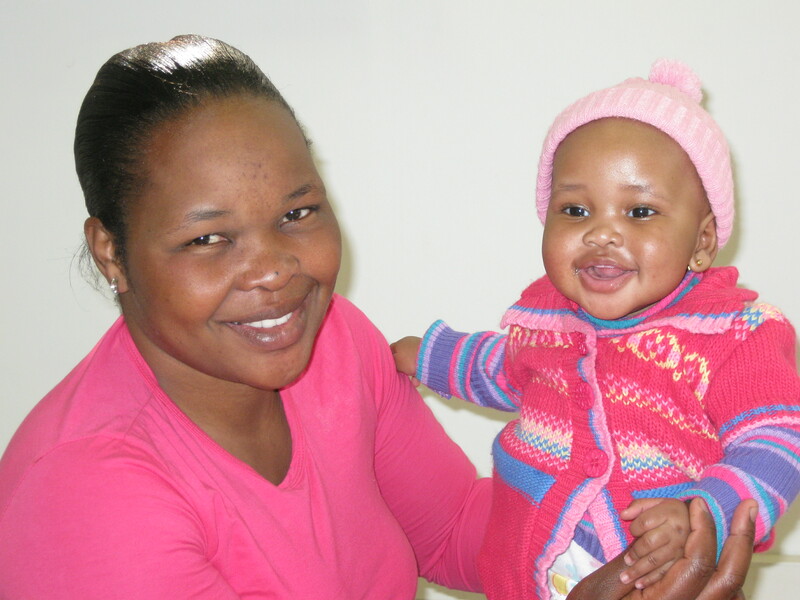 Ububele is grateful for the opportunity to focus our work supporting families and especially infants and children under the age of 7 years old in the Greater Alexandra community. We started this blog in order to share our experiences and hopefully encourage and inspire all of us to learn more and do more. We welcome your feedback!